Princess Mecca Romero is a freelance dance artist living in Los Angeles. 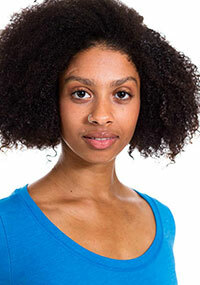 She has enjoyed growing as an artistic and virtuosic dancer with Helios Dance Theater for the past three years. With a Bachelors of Fine Art in dance and choreography from California Institute of the Arts, Princess has been fortunate enough to create and perform with diversely talented artists in New York and Los Angeles. Princess has a passion for healing through mindfulness, yoga, and creating contemporary art through performance and film. Traveling is also a passion of hers, and dance has allowed her to tour, performing and/or creating in Canada, London, and Germany. Princess is a multifaceted artist, a teacher, and life student certified in Yoga and Reiki.